The respondent sued the State Government of Sabah (“the State Government”) for breach of an agreement entered into between them. Judgment was obtained by the respondent and a certificate under s. 33(3) of the Government Proceeding Act 1956 (“the GPA”) was issued by the Deputy Registrar of the High Court ordering the State Government to pay the respondent damages in the sum of RM6,163,497.44 with interests. The certificate was duly served on the Chambers of State Attorney General and State Secretary of Sabah but the State Government failed to pay up the said sum. The respondent then filed this application for an order of mandamus pursuant to O. 53 of the Rules of the High Court 1980 (“RHC”). The High Court dismissed the respondent’s application. On appeal to the Court of Appeal, the appeal was allowed. Leave was granted to the appellant to appeal to the Federal Court on the question whether judicial review proceedings may be taken against the appellant, to compel payment of a judgment sum as certified in the certificate issued under s. 33(1) of the GPA. The appellant contended that judicial review does not lie against the appellant to enforce payment of a judgment sum for to allow such an application would tantamount to allowing enforcement proceeding to be taken against the State Government through the back door. Responden telah menyaman Kerajaan Negeri Sabah (“Kerajaan Negeri”) kerana pelanggaran kontrak yang dimeterai di antara mereka. Penghakiman telah diperolehi oleh responden dan satu sijil di bawah s. 33(3) Akta Prosiding Kerajaan 1956 (“GPA”) telah dikeluarkan oleh Timbalan Pendaftar Mahkamah Tinggi memerintahkan Kerajaan Negeri membayar kepada responden gantirugi sebanyak RM6,163,497.44 beserta dengan faedah. Sijil telah diserah dengan sewajarnya kepada Pejabat Peguam Negeri dan Setiausaha Kerajaan Negeri tetapi Kerajaan Negeri telah gagal membayar jumlah tersebut. Responden kemudian memfailkan permohonan ini untuk satu perintah mandamus di bawah A. 53 Kaedah-Kaedah Mahkamah Tinggi 1980 (“RHC”). Mahkamah Tinggi menolak permohonan responden. Ekoran rayuan ke Mahkamah Rayuan, rayuan telah dibenarkan. Kebenaran kemudian telah diberi kepada perayu untuk merayu ke Mahkamah Persekutuan atas persoalan sama ada prosiding semakan kehakiman boleh diambil terhadap perayu, bagi memaksa pembayaran wang penghakiman seperti yang disahkan oleh sijil yang dikeluarkan di bawah s. 33(1) GPA. Perayu berhujah bahawa semakan kehakiman tidak boleh diambil terhadap perayu bagi melaksanakan pembayaran wang penghakiman kerana membenarkan permohonan sedemikian bererti membenarkan prosiding pelaksanaan dibuat terhadap Kerajaan Negeri melalui pintu belakang. (1) Kesan s. 33 GPA dan A. 73 k. 12(1) RHC adalah bahawa, satu-satunya cara untuk menguatkuasakan penghakiman kewangan terhadap Kerajaan adalah dengan cara mendapatkan sijil. Seksyen 44 Akta Relif Spesifik 1950 (‘SRA’) tidak memberi kuasa kepada mahkamah untuk membuat perintah yang diperuntukkan di situ terhadap perayu. Tetapi, perenggan 1 Jadual kepada Akta Mahkamah Kehakiman 1964 (‘CJA’), sebagai kuasa-kuasa tambahan, semestinya menjadi tambahan, dan tidak tertakluk, kepada kuasa-kuasa yang sudah pun diperuntukkan oleh undang-undang lain. Adalah tidak betul untuk membaca s. 25(2) CJA sebagai tertakluk atau terhad kepada apa yang diperuntukkan di dalam GPA atau SRA. (2)Mandamus boleh dikeluarkan bagi maksud menguatkuasakan hak seseorang yang telah diambil hartanya dengan cara tidak mengikut undang-undang. Dengan tidak membayar hutang penghakiman, Kerajaan Negeri Sabah jelas telah mengambil harta responden secara yang bertentangan dengan undang-undang. I have had the privilege of reading the judgment of Arifin Zakaria FCJ and I agree with his conclusion. However, I would like to make a few points. As he has narrated the facts and reproduced the relevant provisions of the law under consideration, I shall not repeat nor reproduce the same, except where it is absolutely necessary. Given that s. 33(3), Government Proceedings Act 1956 imposes a statutory obligation on the Government of Sabah to pay according to a Certificate issued under s. 33(1), Government Proceedings Act 1956, the issue is whether Judicial Review proceedings may be taken against the Minister of Finance, Government of Sabah to compel the payment according to a Certificate issued under s. 33(1), Government Proceedings Act 1956 for a judgment for a monetary sum obtained against the State Government of Sabah. Provided that in the event the Federal Court decides that the Minister of Finance, Government of Sabah is not the proper party in these proceedings the Applicant consents that the proper person be joined in these proceedings. Now, let us look at the overall scheme of the law on the issue. Section 33(1) GPA provides that, in brief and in relation to the facts of this case, where in any civil proceeding against the Government, any order is made by any court in favour of any person against the Government, the court shall issue to the person a certificate. Sub-section (3) provides that where the order (ie, the certificate) provides for the payment of money, the government shall pay to the person entitled the amount stated in the certificate. Sub-section (4) then provides that “Save as aforesaid no execution or attachment or process in the nature of attachment, shall be issued out of any court for enforcing payment by the Government of any such money or costs as aforesaid”. In other words, the only method provided by GPA to recover a judgment sum is by the issue of the certificate. Ordinary execution proceedings are not available. (1) Nothing in Orders 45 to 52 shall apply in respect of any order against the Government. Sub-rule (2), though not an issue here, makes specific reference of s. 33(1) GPA. It must be noted that Orders 45 to 52 are orders pertaining to Enforcement of Judgments and Orders (O. 45), Writs of Execution: General (O. 46), Writs of Seizure and Sale (O. 47), Examination of Judgment Debtor, etc (O. 48), Garnishee Proceedings (O. 49), Changing Orders, Stop Orders, etc (O. 50), Receivers: Equitable Execution (O. 51), Rateable Distribution (O. 51A) and Committal (O. 52). In other words, as against a Government one cannot resort to any of the procedures provided by Orders 45 to 52. The only procedure allowed is as provided by s. 33 GPA. We now come to the question: does mandamus lie in this situation? (c) to make any order which is otherwise expressly excluded by any law for the time being in force. The question is whether this provision prohibits the issue of mandamus. This section speaks of an order that may be made against “any person holding a public office”. After that it qualifies that an order cannot be made in respect of, inter alia, (b) and (c). However, according to sub-section (1) of s. 44 of the Specific Relief Act 1956, an order can only be made against any person holding a public office… According to s. 3 of the Interpretation Act, 1967, “public officer” means office in any of the public services, and “public services” means the public services mentioned in art. 132(1) of the Federal Constitution. Therefore, 1 and 2 respondent in this case, namely the Government of Malaysia and the Menteri Hal Ehwal Dalam Negeri, Malaysia who are not persons holding a public office within the meaning of s. 44 of the Specific Relief Act have, in my view, been wrongly cited as respondents. In other words, since the Government of Malaysia and the Minister of Home Affairs are not “persons holding a public office”, an order pursuant to s. 44 of the SRA cannot be issued against them. Regarding the other two respondents, ie, the Ketua Pejabat Imigresen, Pulau Pinang and the Pegawai Paspot, Pulau Pinang even though they were held to be persons holding a public office, nevertheless the order prayed for was refused by the learned judge because the applicant had failed to fulfill the five conditions set out in the proviso to sub-s. (1) of s. 44 SRA. This, in our view, is a narrow perception of s. 44(1) Specific Relief Act. If adopted it would jeopardize the powers of the Court to order any Minister of the Government to do or forbear from doing the many administrative acts required of such a person in the Government. This would tantamount to practically saying that s. 44(1) of the Specific Relief Act does not apply to a Minister in the Government. Perhaps, the learned trial Judge had overlooked the great number of authorities where the Courts had directed a Minister of the Government to perform or forbear from performing certain specific act. A case in point is that of this Court in Hong Leong Equipment Sdn. Bhd. v. Liew Fook Chuan & Another Appeal  1 CLJ 686;  1 MLJ 481, where the order of the Court was directed at the Minister of Labour & Manpower involved in an industrial relation dispute. In this respect, we are of the opinion that the learned trial Judge has erred in his ruling on this point. To us, a Minister of a Government in Malaysia is a person holding a public office under the provision of s. 44(1) of the Specific Relief Act. With respect, I do not agree with the approach and the interpretation given by the Court of Appeal. If words used in statutes are defined, it is that meaning that the court should give to them. It is not right for the court, purporting to give a “wider interpretation”, to give a meaning different from what is defined by statute. “public officer” means a person lawfully holding, acting in or exercising the functions of a public office. “Member of the administration” means, in relation to the Federation, a person holding office as Minister, Deputy Minister, Parliamentary Secretary and, in relation to a State, a person holding a corresponding office in the State or holding office as a member (other than an official member) of the Executive Council. It is clear that the Minister of Finance, Government of Sabah is “a member of the administration” but not a “person holding public office.” What it means, in relation to s. 44 SRA is that s. 44 SRA is not applicable to the appellant, meaning that an order under s. 44 SRA cannot be issued against the appellant. To that extent the High Court judge Gunn Chit Tuan J, was right in Loh Wai Kong (supra) regarding the effect of s. 44 SRA on the Government of Malaysia and the Minister of Home Affairs. In my view the learned High Court judge in the instant appeal was right in following Loh Wai Kong (supra) and the Court of Appeal was wrong in its interpretation of s. 44 SRA. Since s. 44 SRA does not apply to the appellant, proviso (b) and (c) become irrelevant. (2) Without prejudice to the generality of sub-s. (1) the High Court shall have the additional powers set out in the Schedule: Provided that all such powers shall be exercised in accordance with any written law or rules of court relating to the issue. Power to issue to any person or authority directions, orders or writs, including writs of the nature of habeas corpus, mandamus, prohibitions, quo warranto and certiorari, or any others for the enforcement of the rights conferred by Part II of the Constitution, or any of them, or for any purpose. These powers are additional powers, ie, additional to any other power given by other written laws. Being additional powers they can only be more than, not limited to, what has already been provided by other laws. The proviso to s. 25(2) uses the words “in accordance with any written law or rules of court relating to the issue.” I am of the view that the use of the word “in accordance” and not “subject to” merely refers to the procedural aspects. It cannot mean limited to what are provided in other written laws. To read that proviso in such a way is to nullify the effect of “additional powers”. There would be nothing additional. So, what is the point of having the provision? Bear in mind that the CJA was enacted after the Federal Constitution was promulgated and para 1 of the Schedule makes specific reference to the Constitution ie, “for the enforcement of the right conferred by Part II of the Constitution…” GPA and SRA were both enacted much earlier even though they have been revised. So, in my view, it is not correct to read s. 25(2) as subject to or limited to what are provided by GPA or SRA. We shall now look at the provision of para. 1 of the Schedule in detail. Mandamus is mentioned as one of the additional powers. It may be issued to “any person or authority” which, in my view, includes a Minister of a Government. My brother Arifin Zakaria FCJ has dealt at length, citing authorities to the effect that judicial review lies against a Minister. I shall not repeat. Indeed, the writ of habeas corpus, one of the writs mentioned in para. 1 of the Schedule are mostly issued against a Minister. That being the case, I am of the opinion that mandamus may be issued against the appellant. (1) No person shall be deprived of property save in accordance with law. In other words, mandamus may issue for the purpose of enforcing the right of a person who has been deprived of his property not in accordance with law. Here, the respondent has obtained a judgment. There is a judgment debt owed to him. Payment has not been made. Upon obtaining the certificate, it becomes a statutory duty of the State Government of Sabah to make payment. By not paying, clearly the State Government of Sabah has deprived the respondent of its property contrary to law. Furthermore, para. 1 of the Schedule of the CJA goes on to provide “or for any purpose”. This is even wider. It is, therefore, clear to me that mandamus lies against the appellant. My brother Hashim Yusoff FCJ has read this judgment and agrees with it. (b) to pay the respondent as costs of the sum of RM405,311.55 and interest thereon at the rate of 8% per annum on the said sum from the date of judgment until the date of payment. The certificate was duly served on the Chambers of State Attorney General and State Secretary of Sabah but the State Government failed to pay up the said sum. The respondent then filed this application for an order of mandamus pursuant to O. 53 of the Rules of the High Court 1980 (“RHC”), citing the Minister of Finance, Government of Sabah as the respondent (the appellant before us). Given that s. 33(3), Government Proceeding Act 1956 impose a statutory obligation on the Government of Sabah to pay according to a Certificate issued under s. 33(1), Government Proceedings Act 1956, the issue is whether Judicial Review proceedings may be taken against the Minister of Finance, Government of Sabah to compel the payment according to a Certificate issued under s. 33(1), Government Proceedings Act 1956 for a judgment for a monetary sum obtained against the Government of Sabah. Provided that in the event the Federal Court decides that the Minister of Finance, Government of Sabah is not the proper party in these proceeding the Applicant consents that the proper person be joined in these proceedings. To put it shortly the single issue is whether judicial review proceedings may be taken against the appellant, to compel payment of a judgment sum as certified in the certificate issued under s. 33(1) of the GPA. I have ventured to express the view that it was unnecessary to go beyond stating that the sum in question was due and that the applicant was entitled to be paid. The reference to the registrar was, so it seems to be, otiose. The mode of bringing about a satisfaction of the judgment is a matter of statutory prescription and not of judicial direction or order. That would have been enough to dispose of the application but for the sake of completeness I shall revert to the statutory provisions set out above upon which this application rests. Section 44(1) of the SRA is of no assistance to the Applicant because the Respondent is not a “person holding a public office”. Loh Wai Kong v. Government of Malaysia  2 MLJ 175 is an authority relied on by the learned Senior State Counsel, and in my view rightly so. The Court of Appeal in a unanimous decision allowed the appeal by the respondent, thus allowing the respondent’s application for judicial review and the appellant was directed to make payment within 21 days from the date of the order in the motion, that is 23 April 2007. We shall now discuss the exception proper. From the appellant’s application, the order for mandamus sought is to direct the respondent to perform his duty according to s. 33(3) of the GP Act, and that is “to pay to the person entitled or his solicitor the amount appearing by the certificate to be due to him together with interest, if any, lawfully due thereon”. But it is the contention of the respondent that by virtue of this exception in s. 44(2)(b) of the Specific Relief Act, the learned High Court Judge has no power to do so. Indeed, we agree that by virtue of this sub-section the Judge is precluded from issuing such orders against the respondent “merely to enforce the satisfaction of a claim upon that Government” by it does not preclude the Judge from directing the respondent by way of mandamus to perform a duty under the law. And this duty is to comply with s. 33(3) of the GP Act which the Government, by virtue of this provision, is required under the law to pay the appellant. To us, this is not to enforce the satisfaction of a claim upon the Government but a direction to a public servant of that Government to perform a duty required by law of that Government. This is a harmonious and reconciliatory reading of s. 44(2)(b) of the Specific Relief Act with s. 33(3) of the GP Act. Otherwise, the effectiveness of s. 33(3) of the GP Act would be reduced to a nullity particularly when the Government, as an entity, can only act through its public servant. Provided that, if the court so directs, a separate certificate shall be issued with respect to the costs (if any) ordered to be paid to the applicant. (2) A copy of any certificate issued under this section may be served by the person in whose favour the order is made upon the person for the time being named in the record as the advocate for the Government or for the Government department or officer concerned. Provided that the court by which any such order as aforesaid is made or any court to which an appeal against the order lies may direct that, pending an appeal or otherwise, payment of the whole of any amount so payable, or any part thereof, shall be suspended, and if the certificate has not been issued may order any such directions to be inserted therein. (4) Save as aforesaid no execution or attachment or process in the nature thereof shall be issued out of any court for enforcing payment by the Government of any such money or costs as aforesaid, and no person shall be individually liable under any order for the payment by the Government or any officer of the Government as such, of any such money or costs. In the present case it is not in dispute that the respondent had complied with the provisions of the said s. 33 but no payment was forthcoming from the appellant. In the light of that the respondent applied to the court by way of judicial review for an order of mandamus to direct the appellant to make payment of the judgment sum. In respond the appellant contends that the judicial review does not lie against the appellant to enforce payment of a judgment sum for to allow such an application would tantamount to allowing enforcement proceeding to be taken against the State Government through the back door. There is no dispute that under sub-s. (3) of s. 33 of the GPA the appellant is legally obliged to satisfy the judgment sum. This is conceded by the learned State Attorney General, appearing for the appellant. But having said that he then argued that the said sub-section is expressly subjected to the words in the parenthesis which reads “subject as hereinafter provided”, as contained in the said sub-section. In other words the provisions of sub-s. (3) has to be read subject to such impediment or restriction as may thereafter be provided. Such an impediment is found in sub-s. (4) of s. 33 which states in clear terms that no execution or attachment or process in the nature thereof shall be issued out of any court for enforcing payment by the Government of any such money or costs as aforesaid and no person shall be individually liable under any order for the payment by the Government or any officer of the Government as such, of any such money or costs. The sub-section opens with the words “Save as aforesaid” which clearly indicate that any enforcement of money judgment against the Government can only be proceeded with in accordance with the provisions as provided earlier. In short the ordinary procedure for enforcement of judgment as between subjects does not apply to the Government. The word “Government” here by definition includes the State Government as in the present case (see s. 2 of the GPA). In my view the words in the parenthesis in sub-s. (3) and as further fortified by the opening words of sub-s. (4) clearly support the appellant’s contention that the ordinary enforcement procedures available as between subjects do not and could not apply to the Government. The Court of Appeal in its judgment was of the opposite view. It said that the qualifying words of “Save as aforesaid” in sub-s. (4) of s. 33 of the GPA must be intended to cater for the preceding sub-sections to mean that execution, attachment or process in the nature thereof for enforcing payment by the Government or its officer can only be instituted after s. 33(1), (2) and (3) of the GPA are satisfied. But after having done so then the prohibition as contained in sub-s. (4) would not act as an impediment to the granting of the order prayed for by the respondent. In my opinion the word “save” as used in sub-s. (4) means “except” or “other than”. (See Concise Oxford English Dictionary 10th edn.) Therefore, “Save as aforesaid” would mean that except or other than as provided in the preceding sub-ss. (1), (2) and (3), no execution etc. shall be issued against the Government for enforcing payment of any judgment sum or costs as stated in the preceding sub-sections. Orders 45 to 52 RHC relate to enforcement of judgment and orders. Therefore by O. 73 r. 12(1) it is clear that the general policy of the law is that execution or other process of enforcement do not lie against the Government. In the case of Franklin v. The Queen (No. 2) (Court of Appeal)  QB 205, O. 77 r. 15(1) of the English Rules of Supreme Court (in pari materia to our O. 73 r. 12(1) of RHC) was considered by the court. In that case Franklin applied to examine the Bank of England (as the registrar) pursuant to the English Rules of the Supreme Court, O. 48 (in pari materia to our O. 48 RHC). That reflects the general policy of the law that execution or other process of enforcement cannot go against the Crown for it could be derogatory of the royal dignity if it were otherwise. If Ord. 77, r. 15(1) applies to the judgment obtained by Mr. Franklin it must be clear that any process founded upon the provisions of R.S.C., Ord. 48, would not be competent. To put it shortly by virtue of O. 73 r. 12 of the RHC none of the ordinary method of execution as contained in Orders 45 to 52 would apply against the Government. That explains the need for this application. It was taken up by the respondent after failing to get any positive respond from the appellant for the payment of the judgment sum as per certificate of judgment sum and order for costs dated 20 May 2004. The said certificate having been duly served on the State Attorney General’s Chambers and the State Secretary of Sabah by letters dated 21 May 2004 and 29 March 2005 respectively. This was never disputed by the respondent. The single issue before us is whether an order of mandamus would lie against the appellant in the light of the legislative inhibitions discussed in the earlier part of this judgment. The Court of Appeal in its judgment reversing the decision of the learned High Court judge held that there is no legal impediment for an order of mandamus to be issued against the respondent. The respondent contends otherwise. The relief sought by the respondent is for an order of mandamus under s. 25 and para. 1 of the Schedule to the Courts of Judicature Act 1964 (CJA) and for/or under s. 44 of the Specific Relief Act 1950 (SRA). The order sought for is directed to the appellant to perform his statutory duty under s. 33(3) of the GPA, that is, to satisfy the judgment sum as certified under the certificate dated 20 May 2004. The issues at the heart of this appeal are: (a) whether an order of mandamus would lie against the appellant in this present case; (b) whether there exist a statutory duty on the appellant to pay arising from s. 33(3) of the GPA. On the first issue, by definition an order of mandamus is a command issued by the court to an authority to perform a public duty placed upon it by law. The learned High Court judge in his judgment held that in the present case an order of mandamus cannot be made against the appellant on two main grounds. One of them is that s. 44(1) of the SRA is directed towards “… Person holding a public office” and on the authority of Loh Wai Kong v. Government of Malaysia & Ors  1 LNS 106, he held that the appellant is not a person holding a public office. The term “public officer” is not define in the SRA and the learned judge in Loh Wai Kong relied on the definition of the words as appearing in the Interpretation Act 1967 (Now Part I of Interpretation Acts 1948 and 1967, Act 388). However, the learned High Court judge failed to consider that in this case the application was made pursuant to both s. 44(1) of the SRA as well as s. 25 and para. 1 of the Schedule to the CJA. Provided that all such powers shall be exercised in accordance with any written law or rules of court relating to the same. Power to issue to any person or authority directions, orders or writs, including writs of the nature of habeas corpus, mandamus, prohibition, quo warranto and certiorari, or any others, for the enforcement of the rights conferred by Part II of the Constitution, or any of them, or for any purpose. As correctly stated the powers conferred by the Schedule upon a High Court are, according to its terms, ‘additional powers’, that is to say, powers in addition to those already seised of by that court. Resort may therefore be had to paragraphs in the schedule to found jurisdiction to grant relief not expressly prohibited by written law. This is precisely the approach taken by the Federal Court in Zainal Abidin Hj Abdul Rahman v. Century Hotel Sdn Bhd  1 LNS 34, where it relied upon para 6 of the Schedule to found the necessary jurisdiction. … that supervisory review jurisdiction is a creature of the common law and is available in the exercise of the courts’ inherent power but its extent may be determined not merely by judicial development but also by legislative intervention. And it has been suggested, and I agree with it, that this power cannot be curtailed by the RHC. (See Metro Pacific Sdn. Bhd. 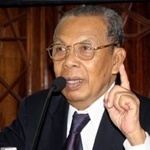 v. Ketua Pengarah Kesatuan Sekerja & Anor  8 CLJ 660). On the above premise I would hold that this application may properly be made pursuant to the power of the court under s. 25 and para. 1 of the Schedule to the CJA. The Act (referring to the Crown Proceedings Act 1947) also exempts the Crown from the compulsory machinery of law enforcement. This is not in order to enable the Crown to flout the law, but because it would be unseemly if, for example, a sheriff’s execution could be issued against a government department which failed to satisfy a judgment. For the purposes of the Act the Crown must be treated as an honest man, and the ordinary laws must have their teeth drawn. Therefore the Act provides that no execution or attachment or process shall issue for enforcing payment by the Crown. Thus it must be brought to bear on the State Government that the GPA is not there to enable the Government to flout the law, it merely provides a special procedure in order to avoid the embarrassment of execution proceeding being taken against the State Government. I think it is reasonable to expect the State Government to act with honour and responsibility and the appellant in the present case is no exception. I do not wish to go into the issue why the State Government had acted the way they did in the present case. It is never in dispute that the respondent is in law entitled to the judgment as specified in the certificate. Therefore, I agree with the respondent that in the context of s. 33(3) of the GPA the word “shall” connotes an obligation to pay. The fact that in s. 33(3) of the GPA it is provided that ‘pending an appeal or otherwise’ the Government may apply for a stay or suspension of the payment, would go to further strengthen the respondent’s contention. Had the duty to pay not being mandatory in nature there is no necessity for the Government to apply for a stay or suspension of payment. For the above reasons I am satisfied that in the context of s. 33(3) of the GPA the word “shall” obtaining therein is obligatory in effect. On that premise I am of the view that once a certificate is issued under s. 33(1) of the GPA and duly served on the State Government it is then obligatory on the State Government to make the necessary payment. In other words s. 33(3) of the GPA creates a statutory duty on the part of the State Government to pay the amount as certified. The next question is whether an order of mandamus may be issued against the Minister of Finance, Government of Sabah, the appellant in the present case directing the appellant to pay the sum as stated in the certificate. … it seems clear that judicial review which is essentially a creature of common law, can be excluded by statutory legislation if the words used are unmistakably explicit. Given the established authorities referred to, it cannot be said that the Federal Court in Sugumar Balakrishnan has broken any new ground in determining the extent and scope of ouster clauses. There is no paradigm shift. It has followed entrenched principles which can effectively be summed up as follows: that an ouster clause may be effective in ousting the court’s review jurisdiction if that is the clear effect that Parliament intended; that if the intention of Parliament is expressed in words which are clear and explicit, then the court must give expression to that intention. Clearly, the intention of Parliament is to be garnered from the wordings of the ouster clause. The Crown Proceedings Act 1948 was a remedial statute, designed to put the Crown, so far as it could properly be done, into the position of an ordinary litigant, so that justice could be done without obstruction by the Crown’s ancient immunities. As Lord Jauncey said in British Medical Association v. Greater Glasgow Health Board  AC 1211 (where, incidentally, Lord Diplock’s Town Investment (Town Investment Ltd. v. Department of the Environment  AC 359) dicta were once again disregarded), ‘the general purpose of the Crown Proceedings Act was to make it easier rather than more difficult for a subject to sue the Crown,’ and the extension of immunities would ‘run wholly counter to its spirit’. In that case the Court of Appeal held, inter alia, that the courts have jurisdiction to grant interim and permanent injunctions against any servant of the Government. It also held that it is too late in the day to argue that s. 29 of the GPA bars the grant of an interlocutory or even an interim injunction against the Government. That is not the issue before us, as such I would not venture to say anything more on this save that the courts have moved away from the traditional stand that no order of injunction may be granted against the Government. In the local case of Teh Cheng Poh v. Public Prosecutor  1 LNS 202 the Privy Council intimated that even though under art. 32(1) of the Federal Constitution the Yang di Pertuan Agong is immuned from any proceedings whatsoever in any court, therefore, an order of mandamus would not lie against his Majesty but that would not prevent a mandamus be granted against the members of the Cabinet requiring them to advise the Yang di Pertuan Agong to act in a certain way. In Abdul Ghani Ali & Ors v. PP & Another Appeal  3 CLJ 769, the Federal Court adopted the view of the Privy Council that in so far as art. 150(1) of the Federal Constitution is concerned, the Yang di Pertuan Agong has to act on the advice of the Cabinet. Reverting to the issue in the present case, it would appear that under s. 33(4) of the GPA the Government is excluded from the ordinary enforcement procedure but on the other hand by s. 33(3) of the GPA the Government is under a statutory duty to pay the judgment sum as stated in the certificate. This duty to pay under s. 33(3) of the GPA is clearly a statutory duty which is binding on the State Government. The appellant in the present case, as the Minister in charge of financial matters for the State is naturally responsible for the payment of the judgment sum. An order of mandamus may, in the circumstances, be issued to enforce such a compliance by the appellant. This proposition flows from the judgment of L. Denning in Franklin v. The Queen (supra), where the judgment creditor took out a summons under O. 48 of the English RSC to examine the relevant officer of the Government of Southern Rhodesia to determine the financial resources available to the Government to satisfy his judgment. Shaw J set aside the order of the master granting such leave on the premise that it was barred by the English equivalent of our O. 72 r. 12 and his decision was affirmed by the Court of Appeal. The Constitution is not a mere collection of pious platitudes. It is the supreme law of the land embodying 3 basic concept: One of them is that the individual has certain fundamental rights upon which not even the power of the State may encroach. The second is the distribution of sovereign power between the State and the Federation, that the 13 States shall exercise sovereign power in local matters and the nation in matters affecting the country at large. The third is that no single man or body shall exercise complete sovereign power, but that it shall be distributed among the Executive, Legislative and Judicial branches of Government, compendiously expressed in modern terms that we are a government of laws, not of men. My Lords, the argument that there is no power to enforce the law by injunction or contempt proceedings against a Minister in his official capacity would, if upheld, established the proposition that the executive obey the law as a matter of grace and not as a matter of necessity, a proposition which would reverse the result of the Civil War. … both because there would be an incongruity in the Queen commanding herself to do an act, and also because the disobedience to a writ of mandamus is to be enforced by attachment. Whenever a person, whether filling an office under the crown or not, has a statutory duty towards another person, a mandamus will lie to compel him to perform it. Those words of Sir Frederick Thesiger were in fact adopted by Cockburn CJ. There are, of course, cases in which it has been held that a servant or officer of the Crown may have as his only duty a duty towards the Crown. That, indeed, was the deciding factor in Reg. v. Lords Commissioners of the Treasury  LR7 QB 387; but equally there are other cases, for example, Rex v. Income Tax Special Purposes Commissioners, Ex parte Dr. Barnado’s Homes National Incorporated Association  1 KB 26, and the well known case of Reg. v. Income Tax Special Purpose Commissioner  21 QB 313, which show quite clearly that where by statute an officer or servant of the Crown has also a duty towards a member of the public, then provided that member of the public has a sufficient interest, mandamus will lie. The powers conferred by the Schedule upon a High Court are, according to its terms, ‘additional powers’, that is to say, powers in addition to those already seised of by the Court. Resort may therefore be had to paragraphs in the Schedule to found jurisdiction to grant relief not expressly prohibited by written law. This is precisely the approach taken by the Federal Court in Zainal Abidin v. Century Hotel  1 LNS 34;  1 MLJ 260, where it relied on para 6 of the Schedule to found the Mareva jurisdiction. Third, it is plain that Parliament intended that the High Court should be empowered to grant relief which is ordinarily beyond the scope of the usual public law remedies. That intention finds expression in the word ‘including’ which has been interposed between the phrase ‘directions, orders or writs’ and the phrase ‘writs of the nature of habeas corpus, mandamus, prohibition, quo warranto and certiorari, or any others’. So too, the phrase ‘or for any other purpose’, with which the paragraph concludes, makes clear the wide area in which the remedies are to operate. These matters, in my judgment, reflect the conferment of a wide power upon the High Court in the matter of public law remedies. Here, as earlier observed, the Minister had but two alternatives open to him. He could either refer or decline to do so. He elected the latter course and exhausted so much of the power as distinctly relates to that choice. So, all that is left is the power to refer, which, I am satisfied, is amenable to mandamus. In the circumstances, I am unable to accede to the submissions of counsel directed against the order of mandamus made by the learned judge. From the above, the position in law is that, there is a duty on the part of Government to pay the amount stated in the certificate issued under s. 33(3) of the GPA to the respondent. It is not a matter of discretion for the Government whether to pay or not to pay. As a statutory duty it is of course binding on the State Government. And it is incumbent upon the court to give effect to such statutory duty and if necessary through the coercive force of the order of mandamus. The next question is, should the court in the present case grant such an order. This will turn on the facts and circumstances of each individual case. The chronology of the case shows that, the judgment was dated 1 April 2002 and the certificate under s. 33(3) of the GPA was issued on 20 May 2004. It was duly served on the State Attorney General’s Chambers vide letter of 21 May 2004. The State Secretary Sabah, was also served with the certificate vide letter of respondent’s solicitors dated 29 March 2005. In any event, despite the existence of the said Judgment the Respondents undertakes to make payment to the principle sum and thereat the interest payable as soon as funds is made available without prejudice as to any possibility for an amicable settlement that may be available and which is acceptable to the Applicant. The Applicant is not alone because there are others who have variously obtained judgments, decisions or awards against the Government of the State of Sabah which remain barren to this day. I do not propose to speculate on how much longer the Government of the State of Sabah can continue to defy the law and play the ostrich before it undermines the basis of its very existence. I would certainly eschew a discussion on the wisdom, or lack of it, of the abject recalcitrance of the Government of the State of Sabah in these circumstances. I need not say more, except lament the hollowness of the salutary expression of Lord Denning in Franklin at p. 871 – “It is always presumed that, once a declaration or entitlement is made, the Crown will honour it. And it has always done so.”, – and my misfortune in being placed in a situation where the Court is helpless to put right what is clearly an unmitigated wrong. But, for the reasons given above, I disagree with the learned judge that the court is helpless or powerless to put right what is plainly wrong in law. Lack of fund is no excuse, as the Constitution of the State of Sabah in art. 29(2) stipulates that any moneys required to satisfy any judgment, decision or award against the State by any court or Tribunal shall be charged and paid out of the Consolidated Fund. Therefore, the money need not be provided for through any supply bill, as it is chargeable directly to the State’s Consolidated Fund. In the final analysis I find no excuse whatsoever for the appellant not to comply with the certificate issued under s. 33(3) of the GPA. For the above reasons I am of the view that there are ample grounds in support of this application, therefore, in the circumstances I agree with the Court of Appeal that an order of mandamus be issued against the appellant. Accordingly I would, therefore, dismiss this appeal with costs. My learned brother Hashim Yusoff FCJ has read this judgment in draft and has expressed his agreement with it.